Spain continues to dominate the Power Rankings while a pair of Serie A clubs are slowly taking over the Premier League representatives in our top ten. With the Bundesliga clubs also re-joining the fray this weekend, let’s take a look where things stand around the continent. -- FOXSoccer.com's Thomas Hautmann and Danny Michallik. Reasoning: Villarreal’s six-game win streak in La Liga came to an end at the hands of Real Betis, but the goalless draw left the Yellow Submarine still six points clear of Celta Vigo in 4th place in Spain. Coming off three big wins in January friendlies, Borussia Dortmund are brimming with confidence entering their Rückrunde opener Saturday at Gladbach. Premier League record: 12-8-2. // Next opponent: vs. Stoke City (Saturday, 10 a.m. ET). 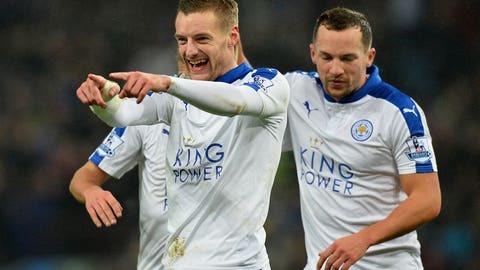 // Reasoning: Many wondered when Leicester’s magical run of form would begin to dwindle. With just one victory in their last seven matches (all comps), it seems that time has come for Claudio Ranieri’s outfit. But getting bounced from the FA Cup might end up helping Leicester in the league, where they remain joint-level on points with Arsenal. Premier League record: 13-4-5. 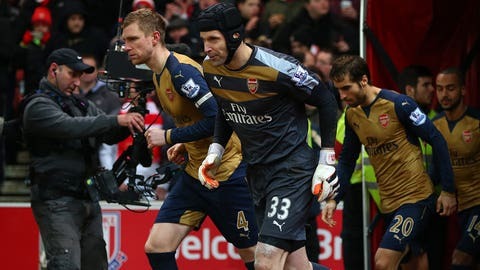 // Next opponent: at West Ham (Saturday, 12:30 p.m. ET). // Reasoning: During a weekend that saw both Arsenal and Leicester City settle for draws, the Citizens walloped Crystal Palace behind a brace from back-in-form Sergio Aguero. As such, Manuel Pellegrini’s men remain firm on course to make the battle for the Premier League title a three-horse race. Serie A record: 13-5-2. // Next opponent: at Sampdoria (Sunday, 9 a.m. ET). // Reasoning: With Juventus enjoying a record 10-match winning run, much of the chatter (in Serie A revolves around the Old Lady. But Napoli, who overtook Inter for top spot in the Scudetto race, still hold a two-point lead thanks in large part to Gonzalo Higuain. 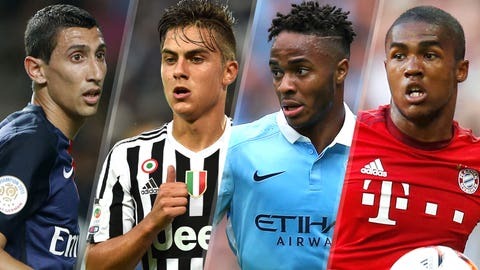 The Argentine leads all players across Europe’s top five leagues with 20 goals in 20 league games. Serie A record: 13-3-4. // Next opponent: vs. Roma (Sunday, 2:45p.m. ET). // Reasoning: Paulo Dybala continues to make his claim as Italy’s next great striker, scoring 7 goals during Juve’s ten-game winning streak in Serie A. But the Old Lady has been getting contributions from their other summer signings as well. Mario Mandzukic has five goals during the span, and even Sami Khedira is coming off back-to-back games with a goal. Premier League record: 13-5-4. // Next opponent: vs. Chelsea (Sunday, 11a.m. ET). // Reasoning: Two difficult away trips in the space of four days saw Arsenal drop a pair of points in a thrilling 3-3 draw at Liverpool and a less thrilling goalless draw at Stoke City. However, the Gunners looked a side hell-bent on cementing a defensive backbone and continuing their reign atop the Premier League. Sunday’s clash against a resurgent Chelsea will be another test of their durability. La Liga record: 15-2-3. // Next opponent: vs. Sevilla (Sunday, 10a.m. ET). // Reasoning: Two games, six points and ten goals from Zinedine Zidane’s first two games in charge have Real feeling good again. One of the Real’s new manager first points of emphasis was to give Gareth Bale his vote of confidence, and the Welshman has responded with four goals and assists. La Liga record: 15-2-3. // Next opponent: vs. Sevilla (Sunday, 10a.m. ET). // Reasoning: Another week, another pair of clean sheets for Diego Simeone’s defense. A 3-0 away win at struggling Las Palmas at the weekend saw Atleti maintain their two-point lead atop La Liga, while a goalless draw at Celta Vigo left Los Colchoneros in decent position to advance to the Copa del Rey semifinals for a third time in four years. Ligue 1 record: 18-3-0. // Next opponent: vs. Angers (Saturday, 11a.m. ET). 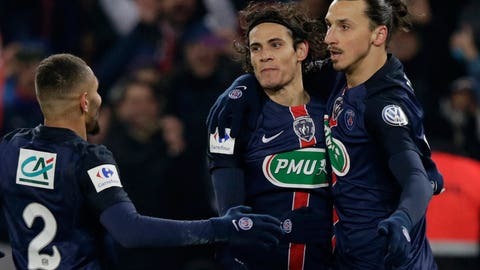 // Reasoning: With each passing week, the likelihood of PSG finishing the Ligue 1 season undefeated grows, but on Saturday Laurent Blanc’s men welcome third-place Angers to the Stade de France. Angers are one of just three sides who’ve been able to pluck a point from PSG this season. Zlatan Ibrahimovic, however, didn’t start in their last meeting. Bundesliga record: 16-1-1. // Next opponent: vs. Hoffenheim (Jan 31, Sunday, FOX Sports Go, 11:30 a.m. ET). // Reasoning: The defending Bundesliga champs opened 2016 with a hard-fought victory at Hamburg Friday night but if we know Josep Guardiola like we do, the Catalan boss will not be too pleased with the performance. Bayern sleepwalked during their win and will need to rediscover their predatory instinct ahead of the Champions League clash vs. Juventus next month. La Liga record: 14-3-2. // Next opponent: at Malaga (Saturday, 10a.m. ET). // Reasoning: Barca faced -- and beat -- Athletic Bilbao twice in four days. Luis Suarez scored a hat trick in Sunday’s 6-0 rout, in which Bilbao goalkeeper Gorka Iraizoz was sent off in the 4th minute. Wednesday’s Copa del Rey clash was a much tighter affair, though Neymar and Munir’s early goals held up for a slim, first-leg advantage.